The opening between the recalled tray and stroller seat bottom allows an unharnessed child’s body to pass through but could trap a child’s head, posing a strangulation hazard. Tray Vous at (800) 281-6483 Monday through Friday from 9 a.m. to 5 p.m. PT or online at www.trayvous.com/recallfor more information. This recall involves Tray Vous snack and activity trays, which have connectors that fit into strollers. The three-piece units include a black plastic tray with a cup holder, a left connector and a right connector. The tray measures about 15 inches wide by 6 inches deep by .75 inches thick. 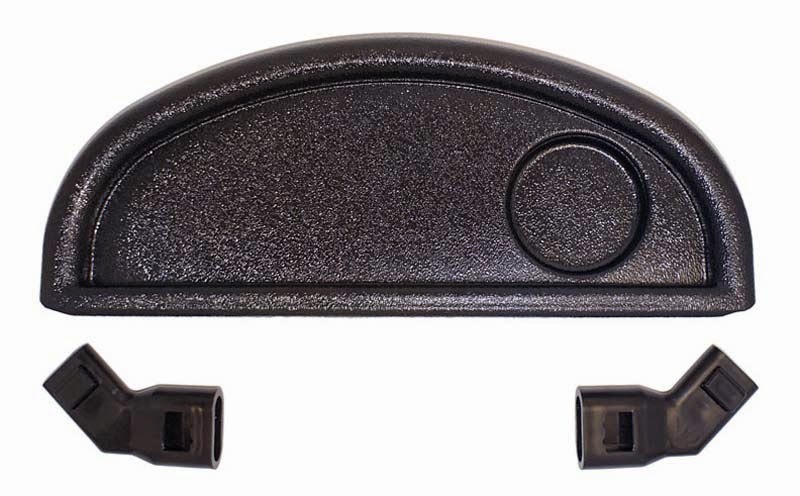 The left and right plastic connectors measure about 4 inches long by 1.75 inches wide by .75 inches thick and are used to connect the tray to the stroller’s base. “Tray Vous” and “Patent Approved US7942437B2” are printed on a sticker underneath the tray.